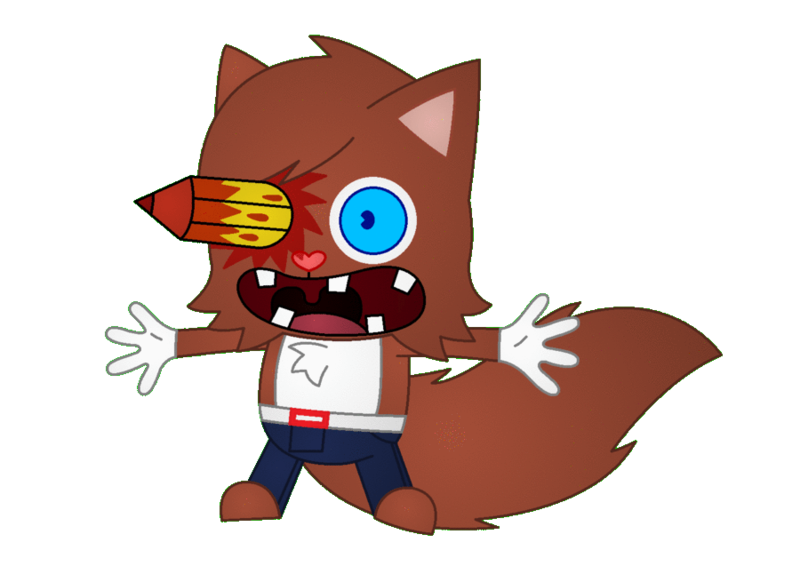 Okay, since Marshall is an official HTF OC and a major creation of mine, I'd suggest him his first death/gore picture. His death consists of a stereotypical number two pencil jabbing right through his eye eraser first for an unknown reason. I don't think the gradient shading turned out too well, but at least I tried that kind of shading. I also think the blood didn't turn out to look good, even though to me it looked more like ketchup or tomato paste. My pose turned out great, but not superb. I also made one more error on the belt buckle because it appeared to be more pink than red. Man I wish to draw more HTF gore sometime and try to improve it, even though I have done that before.